Want to become an Agriscaper and qualify to complete home consultations? Classes begin the week of August 18th! Introducing our Agriscaping Consulting Training Program! Due to our explosive growth homeowners all over the country are eager to get started on their Agriscaping journeys with their home consultations. Unfortunately we need more QUALIFIED landscape professionals to complete these consultations! Once completed, our operations team will send you FREE LEADS to set up home consultations with interested homeowners in your region. You'll receive payment for conducting these consultations and the chance at more business in the future. Entry-level PRO certification empowers the applicant to deliver Initial Productivity Assessments for clients, map micro-climates, create base-plans for Certified Designers and Architects, and performs all front-end functions of the Agriscaping process. Available to persons 16 years old and up. Currently available at High-school level through participating FFA programs. 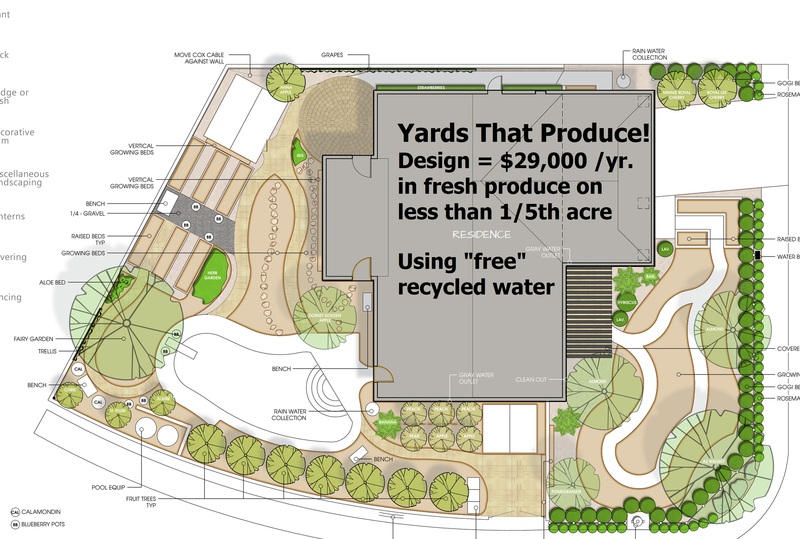 More Profit Per Project: Agriscaping is good for the environment, good for your customers and good for your bottom line. Customers who have Agriscaping installed typically make their investment back in food production within the first few years. Geographic Exclusivity: Agriscaping experts are given exclusive rights to projects in their areas. CEUs: This program qualifies for CEUs in most areas.